Say At Lee Acupuncture and Healing Center, Inc. Gentle and Effective. Pediatrics to Geriatrics. 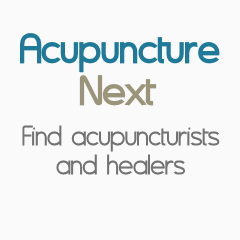 Acupuncture Points "Your Way To Health"
Your Total Care for Health and Wellness! We are a multidisciplinary clinic offering acupuncture alongside chiropractic and massage. We work as a team for the greater good of the patients.By combining our three complementary treatments, many of our patients get relief more quickly. We bill insurance for all of our services and would be happy to check your benefits. Acupuncture Services in Downtown Chicago. At GREENMED CHICAGO, we understand that when you are in pain, you want reliable results. Your recovery and improvement are most important to us. Practicing in Chicago with more than 18 years of experience, Dr. Elizabeth Davis offers the best in Natural Medicine, Chiropractic and Acupuncture. Our goal is to decrease your pain, help restore wellness and promote healing. Naperville Acupuncture Center has performed over 15,000 treatments since 2005. We treat many types of conditions and our treatments are safe, effective, and affordable. We specialize not only in getting fast relief but also in obtaining long term results! Call today for a free consultation to find out if acupuncture can help you! "Roots And Legends Natural Medicine Clinic"
We CARE about you and it shows!